Why? 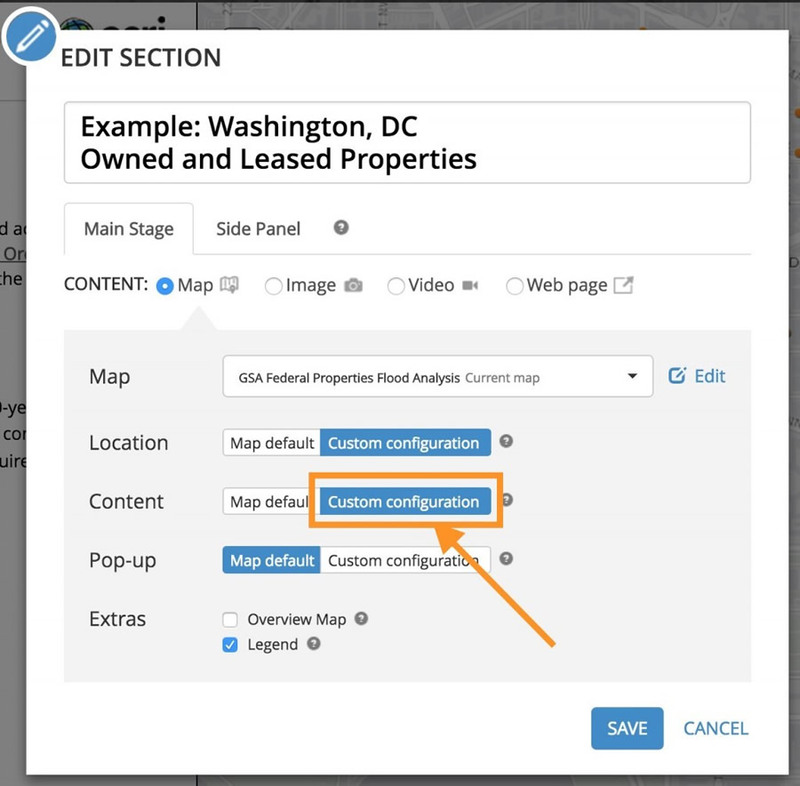 First, using a single map keeps your authoring experience simple. There's only one web map to modify when you need to make changes to symbols or pop-ups in one of the layers. 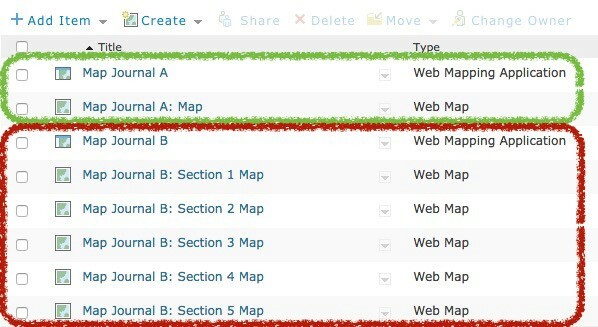 And if you need to move your story map from one folder to another, there are fewer items to move to ensure all components of your story map are in the same place. Second, using fewer web maps also helps your app perform better and provides your audience with an improved user experience. Each web map you load into the app consumes memory and other browser resources. So the more web maps you use, the more memory your app will consume. By creating a single web map with multiple layers and using a custom configuration for each section and/or main stage actions to toggle layers, you can improve the app's performance. Plus, when you use a single web map and toggle the visibility of layers in your story map builder, the main stage doesn't have to reload when switching sections, so your story map viewers will see a nice, smooth transition between maps. The reload time is usually not very long, but eliminating it altogether improves your story. So while it's not necessary to combine all your layers into a single map when you create a Story Map Series or a Story Map Journal app, doing so, when possible, will improve the experience for your readers and reduce the number of items in the story map that you need to manage. Note: There's an exception to the suggestion in this article. If you end up with more than 10 vector tile layers in the same map, you should create separate web maps for each section of your story.